Rustic is more red then brown. I recently applied a sample bottle of 1516 Rustic to several small sections of a stripped and cleaned 15 year old PT pine deck. The color turned out very red. As red as my neighbors cheap redwood color on his deck. Am I doing something wrong or is rustic a red stain as apposed to the nice brown shown on your site? Susan Hughes, yes you can do that. John Kanen, TWP 1500 is not legal for Canada. Can I use the 1500 series on the underside of the roof covering the deck? It is pine and open with beams showing. Plan to use a natural color. Can you tell me if you ship to Victoria, British Columbia Canada? If so, what is the cost and what is the duty charge? 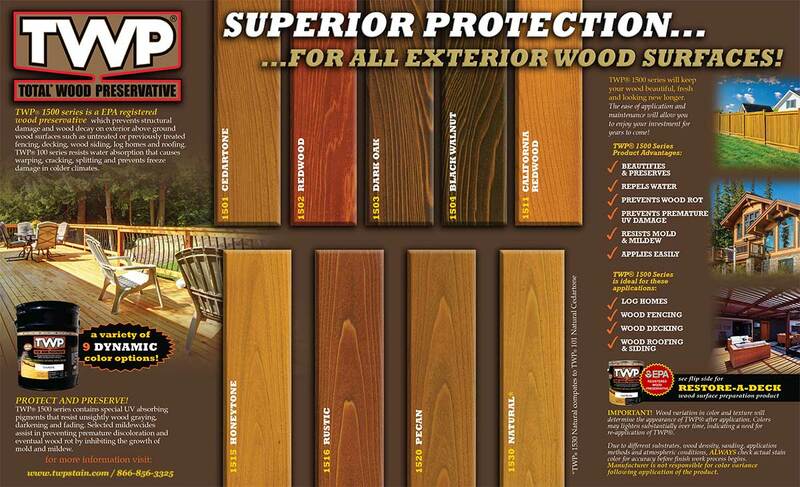 It would seem that in Canada we can only get sub par rated fence and deck stains. The TWP must be applied wet-on-wet, that is you will need to apply the second coat before the first one dries out. An air spray gun is the preferred method, if you do not have one, or want to invest in one, then an spray pump can be used instead. Strip and brighten the Behr stain to remove as much as possible. Sand after if needed as the Behr can be very difficult to remove when stripping. 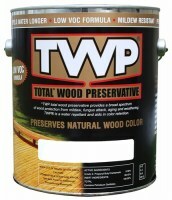 When the wood is free of the Behr coatings then you can apply the TWP 1500. Properly prepared my 1500 square ft deck 2 years ago following instructions using Behr Stain. By early the following spring most of the decks were pealing/flaking. I live in New York State south of Buffalo and get all weather conditions. The pressure treated deck wood has weathered but is structurally sound. 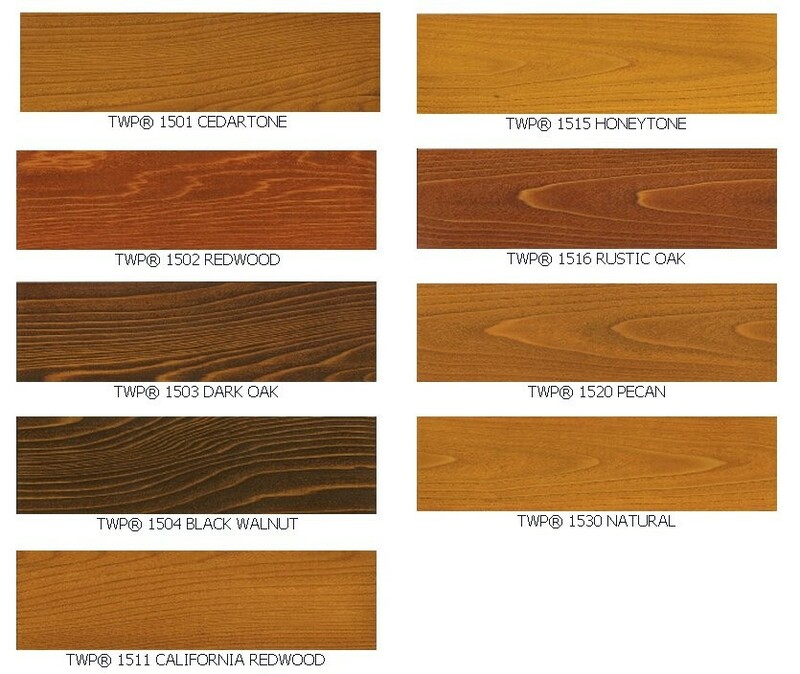 What is the recommended stripper and stain that you would apply? The TWP sounds like my best bet. I may even rent a belt sander to do the 1500 sq feet of decking not counting the 400 balusters and deck rails and posts! The verticals did hold up better than the horizontal areas so this will require even more stripping than the decking. Please recommend best approach. The 100 is a little easier to apply. I'm not sure which I'm going to get yet. 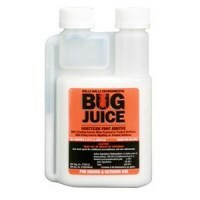 Does this require the preciously mentioned prep work including sanding? for approx 850sq ft of pressure treated timber surface area, how much shoudl I get? Describe wet on wet application? Im trying to figure out how you would do that without footprints everywhere! 1. 2 coats wet on wet. 2. Not when reapplying the TWP on top of TWP, just when switching brands. Typically is reapplied every 2+ years. 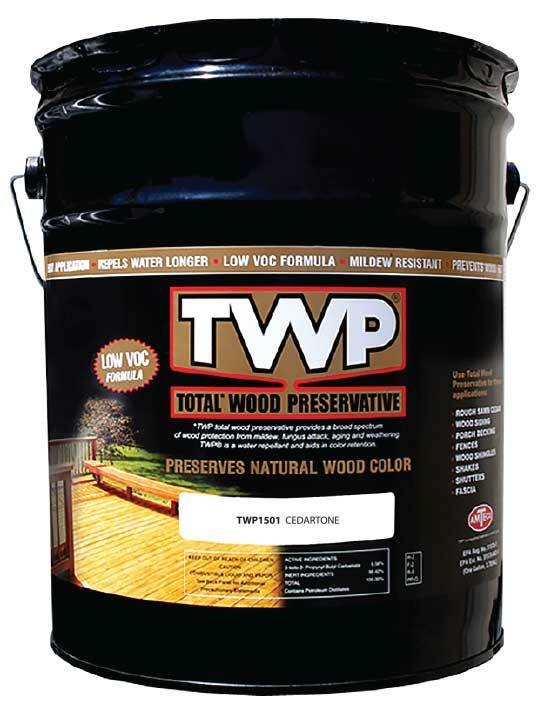 2) in the PDS it states: "
SEALED WOOD: Any previously applied finish must be removed before TWP can be applied. sanded, the surface should be thoroughly rinsed with water 2-3 different days after sanding. Does this mean I have to sand and remove the existing stain every year when I re-apply? 1)Speaking of which, how often should it be re-applied? 1)I live in new england. The deck is in direct sunlight about 25% of the time. between deck, stairs and railings, i probably have aboud 850sq ft of surface to cover. You cannot use a water repellent on top of or under the TWP. 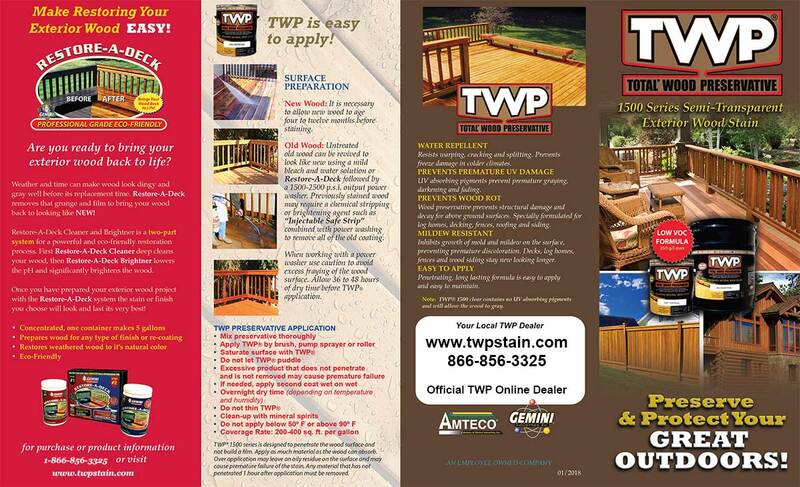 The TWP does shed water as all high quality stains do. You do not want the stain to "bead" like a car wax. 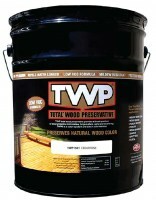 I'm looking to buy TWP 1500 Series for a 9month old weathered cedar deck. I also want the deck to be water sealed. Do I need to purchase a sealer as well, or with the 1500 Series be sufficient? Ian, the 1515 Honeytone would be the closest.